The Leyton Group undertake specialist steelwork, manufacture and installation across London and Essex. Get in touch now to discuss your project. Leyton Group are a privately owned business employing over 60 employees. The team have significant experience of delivering structural steelwork, feature staircase packages, architectural metalwork and finishes that coincide. Our approach is simple and effective, Deliver quality works, Efficiently and effectively, in a safe and considerate manner. We utilise the latest in design software capable of producing full 3D models and offer a full design service to meet all the requirements within a specification. 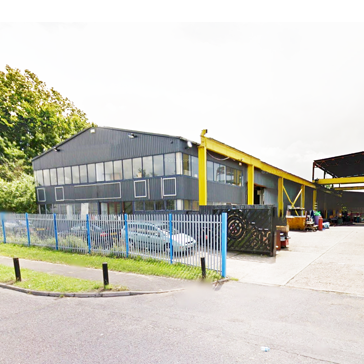 At Leyton Groups head office is where all fabrication works are carried out, we have a 20,000 square ft in-house fabrication facility that enables efficient manufacture and all aspects of bespoke and made to measure steelwork solutions. We are a flexible and solution focused business who will commit and deliver challenging projects and skilled engineering requirements.